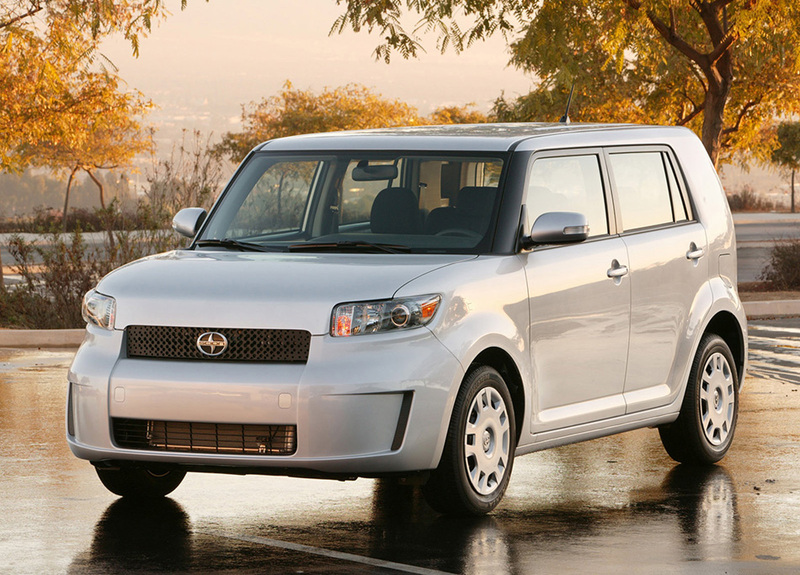 Scion, from Toyota Motor Sales, U.S.A., Inc., unveiled the all-new 2008 xB urban utility vehicle at a press conference today at the 2007 Chicago Auto Show. 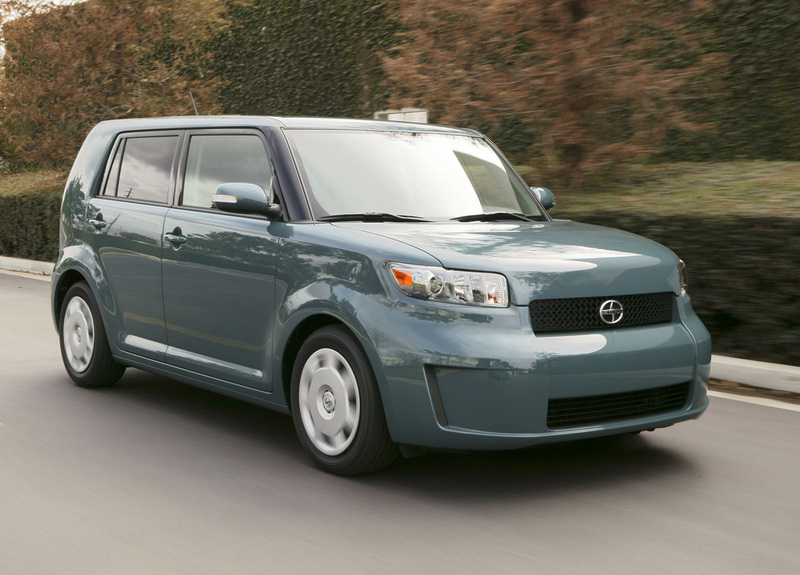 The xB was first introduced in early 2003 for the 2004 model year and its boxy shape became iconic to the Scion brand. 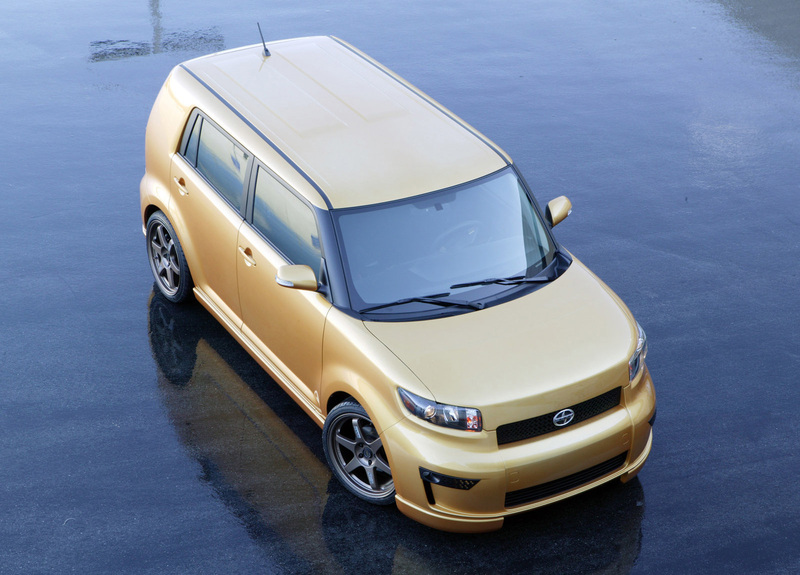 "No one in the automotive industry is as hard-wire-connected to its owners as is Scion, and the 2008 xB is a perfect example," said Mark Templin, Scion vice president. "We've stated in the past that we'll probably always have a box in the Scion lineup, but our owners told us they wanted a bigger box. 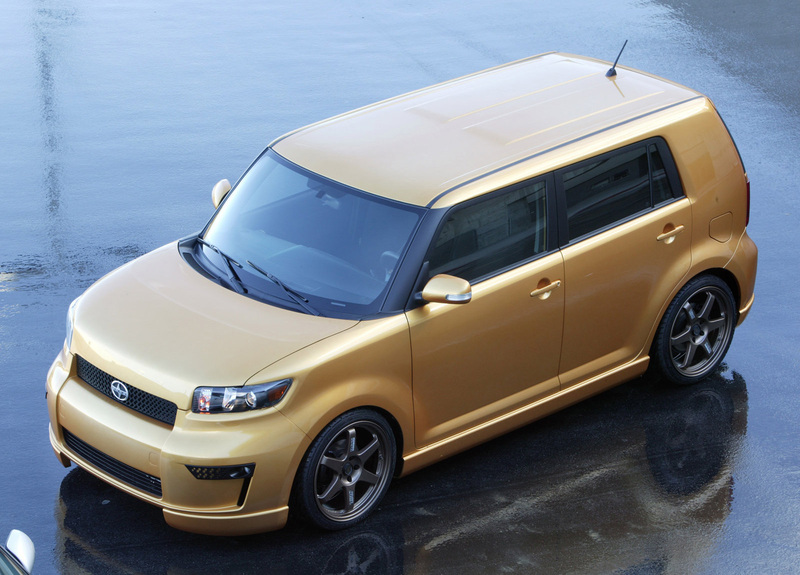 They talk, we listen and we responded with a bigger and better xB." 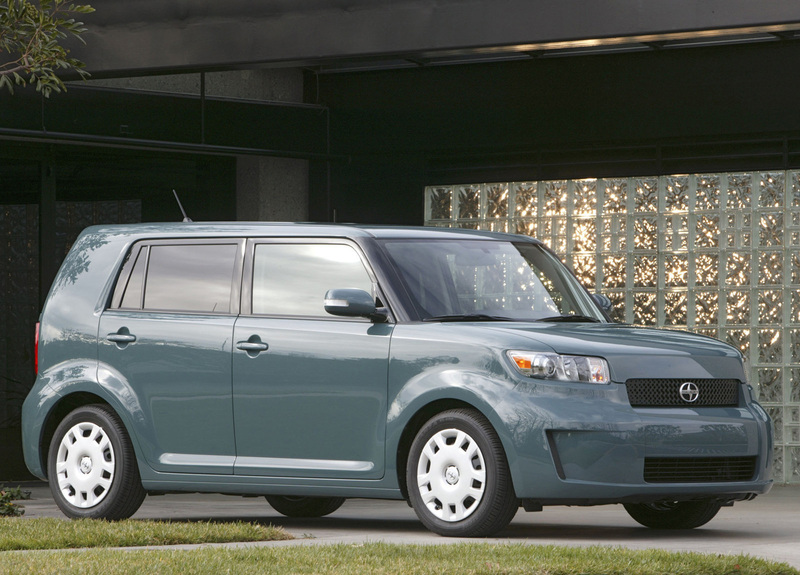 Like the previous generation xB, the all-new 2008 model was styled with distinctiveness in mind. This aggressive new compact applies design elements from the t2B concept vehicle that was shown at the 2005 New York International Auto Show. These exterior styling cues include the soft angles between its wide and flat paneling, high beltline, elongated headlamps that wrap around the side of the vehicle, inset taillights, rectangular grille, pronounced fenders, and single rear backup light on the left bumper. 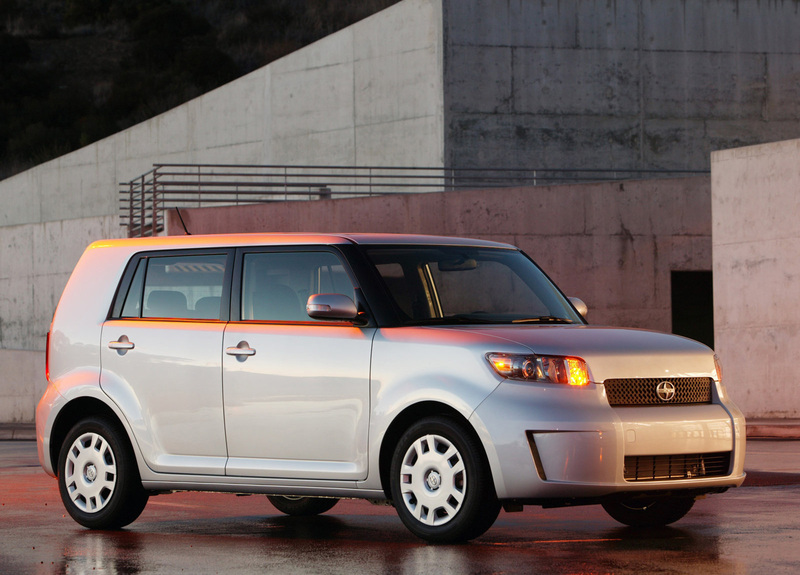 The xB also features tinted rear windows, and turn signals integrated into the side mirrors. 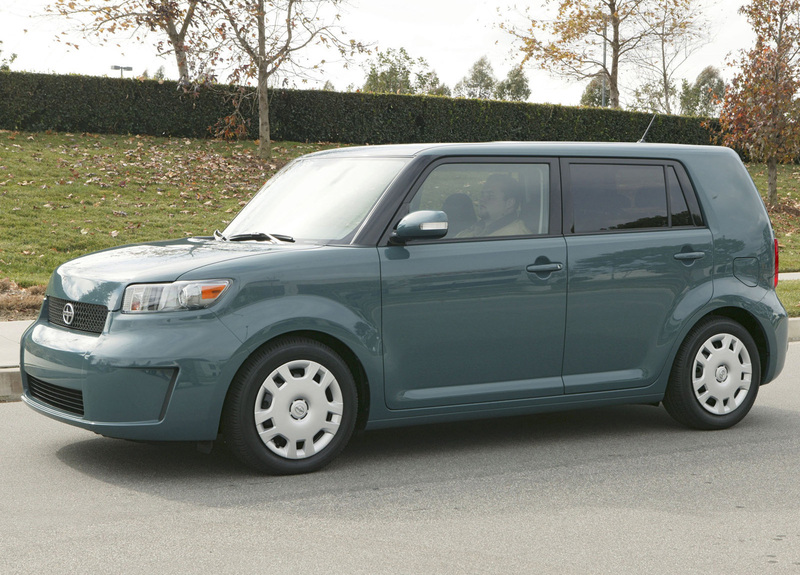 Scion customers love to drive, so with that in mind, the overall size was enlarged, helping to create a more exciting driving experience. 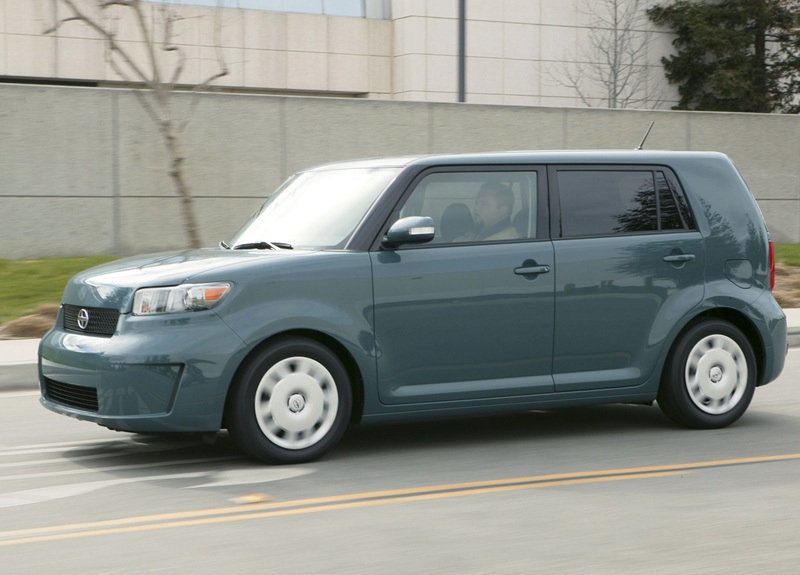 Engineers increased the wheelbase by four inches, the overall length by a foot, the overall width by almost three inches and decreased overall height more than an inch to give the xB a more comfortable ride. 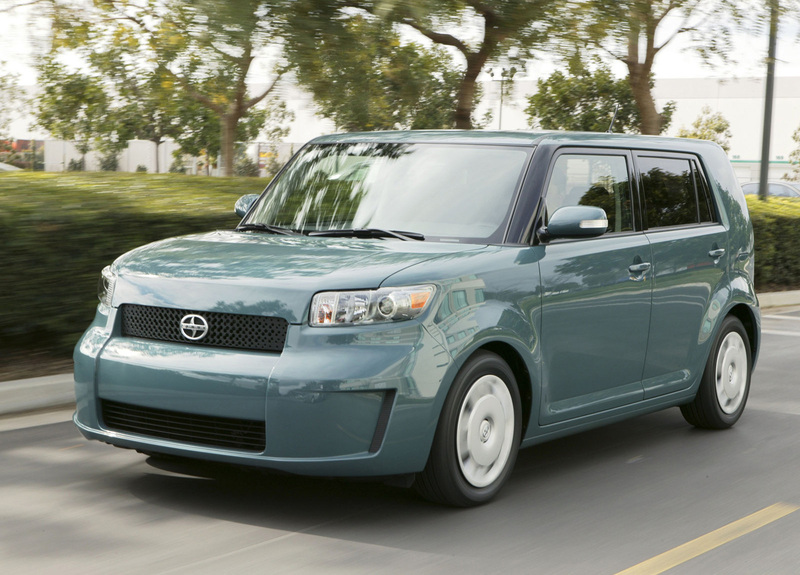 The xB also receives 16-inch steel wheels, an inch larger than the previous generation. Customers will be able to choose from three all-new standard wheel covers which, will also be shared with the all-new xD. 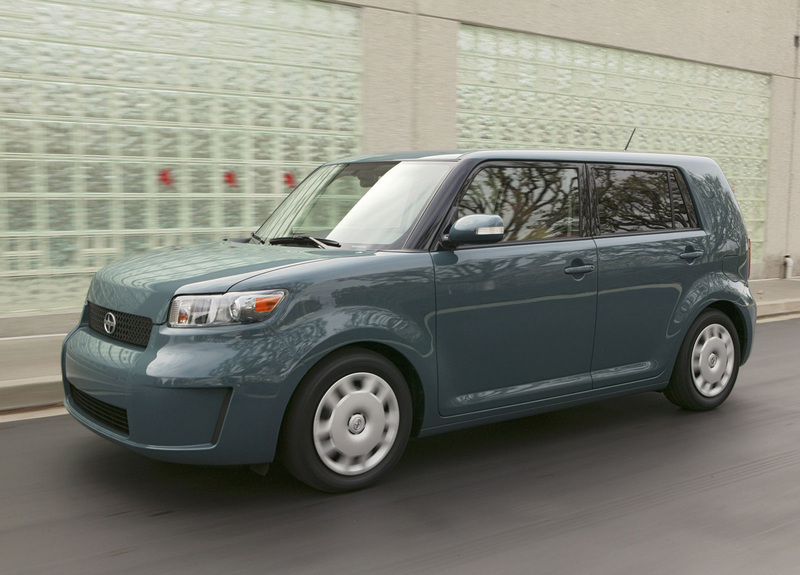 The xB also stops with larger brakes thanks to the 10.83-inch ventilated discs in the front and 10.98-inch disc brakes in the rear which are more than two inches bigger than the previous generation. In addition to the wider wheelbase, the xB's smooth ride can be attributed to its McPherson strut front and rear torsion beam suspension. 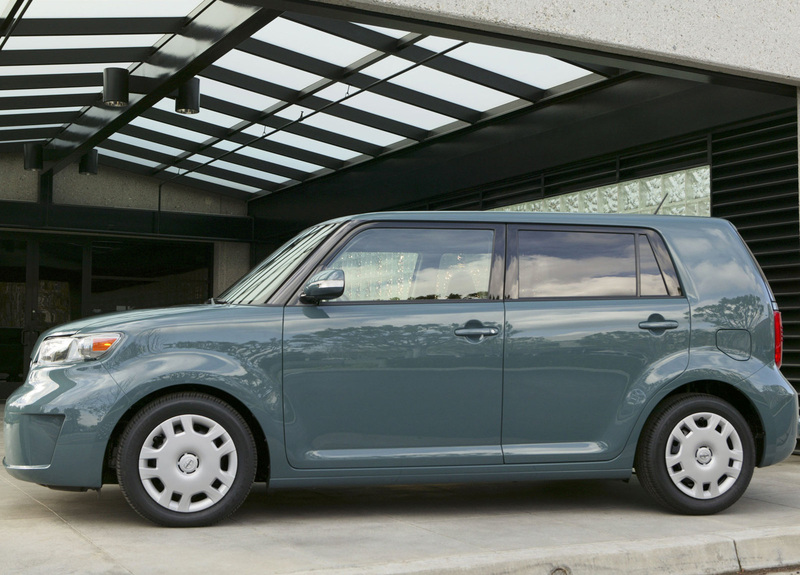 The xB's design team aimed for a lounge-like interior that met the comfort and lifestyle needs of the customer. The versatile interior provides 29.1 cubic feet of cargo area behind the rear seats, an increase of nearly eight cubic feet from the previous generation xB. For added convenience, the 60/40 split rear seats fold flat, providing a spacious and flat cargo floor, allowing the driver to haul larger loads more easily. In addition, the front seats fully recline for increased cargo space or relaxation. Interior storage is abundant with a driver's convenience tray, a glove box, a console box and front door storage. A fixed tray is located beneath the rear seats for hidden storage and can accommodate small items like magazines, cameras, laptops, cell phone chargers and CDs. A series of sleek circular gauges, including a combination meter, are centered on the dash. The combination meter allows drivers to toggle through the clock, outside temperature, instantaneous MPG, average MPG, distance to empty, or the average speed. Upon starting the engine, "xB" flashes on the combination meter before information is displayed. The deep orange display gauges allow for better visibility day and night. Metal-tone trim accents the dash and surrounds the shifter which is mounted on the lower dash. A driver's right armrest was added for comfort. The xB's standard 160-watt maximum output Pioneer audio system is focused on youth lifestyle as it features iPod connectivity and a mini-jack port. This standard head unit integrates track, artist and album information from the iPod into a one-line display on the head unit's screen. Connectivity is achieved by simply plugging the iPod into a port via a connector cable, providing outstanding sound quality through the car's stereo system and constant power to the iPod. Music is controlled through the head unit and the steering wheel audio control buttons. The mini-jack port allows users to listen to their portable music collection through the xB's Pioneer speakers. 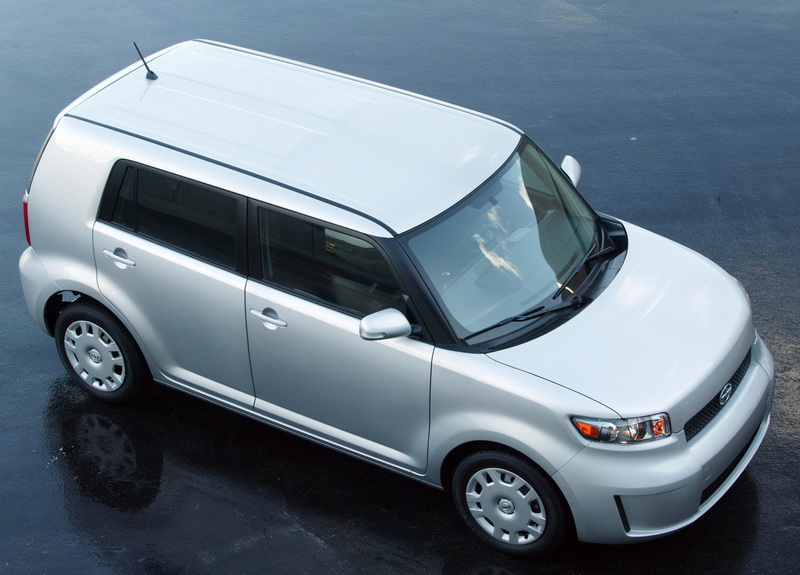 Since many Scion customers add in-car entertainment systems to their vehicle, the xB now comes standard with rear head unit outputs, allowing for additional external amps to boost power to the front and rear speakers, and subwoofers. The xB's optional premium audio system adds one more feature to the standard head unit, the ability to download "skins" to play on the LCD faceplate. Customers can download images, four-second video clips and eight-second movies from Pioneer's website. In addition, Pioneer software allows customers to burn their own images and movies onto a CD and upload them onto the available head unit. 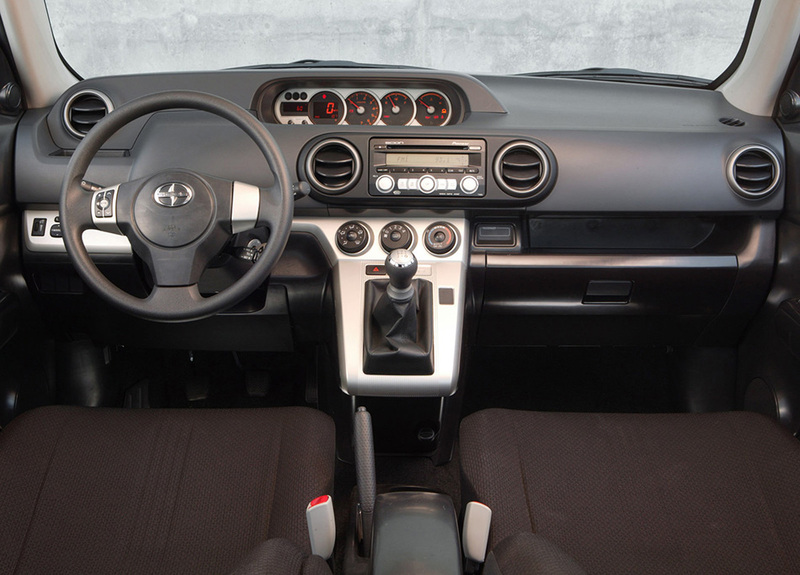 Both the standard and premium head units retain key Scion audio system features such as Scion Sound Processing (SSP) where listeners can choose from three pre-set equalizer settings, satellite radio compatibility, a user-customizable welcome screen, MP3 and WMA capability, Automatic Sound Leveling (ASL) and Sound Retouch Technology (SRT), which provides clearer CD sound quality. Both systems feature six speakers: two tweeters and speakers in each door panel. More powerful than its predecessor, the all-new xB is equipped with a 2.4 L dual overhead-cam four-cylinder engine with Variable Valve Timing with intelligence (VVT-i), the same engine found on the tC. The engine produces 158 horsepower, 55 more than the previous generation. Customers will have a choice of either a five-speed manual transmission or a four-speed automatic with sequential shifting, a first for automatic four-speeds in the Scion or Toyota line-up. 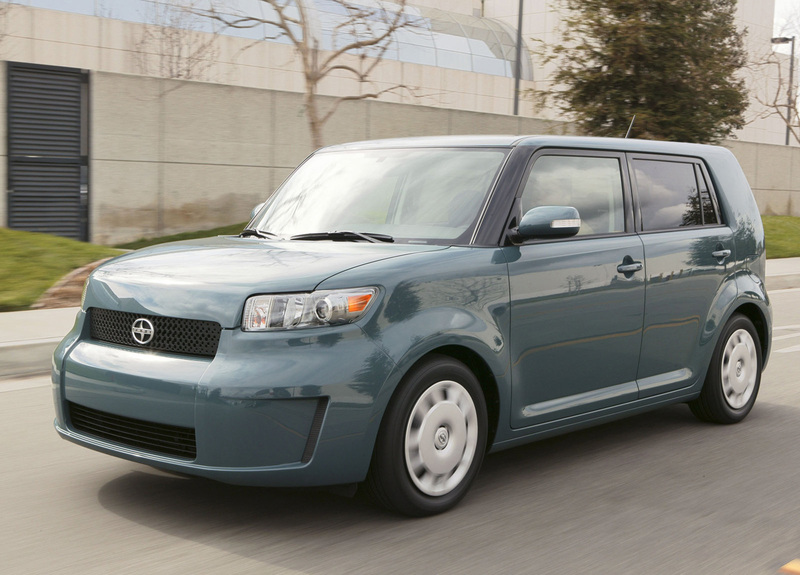 Like all Scion vehicles, the xB is mono spec. Customers only need to choose exterior color and transmission type. The xB comes with generous and upscale standard features including power steering, windows, door locks and mirrors; remote keyless entry; air conditioning; four-wheel anti-lock brakes (ABS) with Electronic Brake Distribution (EBD) and Brake Assist (BA); driver and front passenger dual stage airbags; front seat-mounted side airbags; front and rear side curtain airbags; Vehicle Stability Control (VSC) with Traction Control (TRAC); first-aid kit; and tilt steering wheel with audio controls. 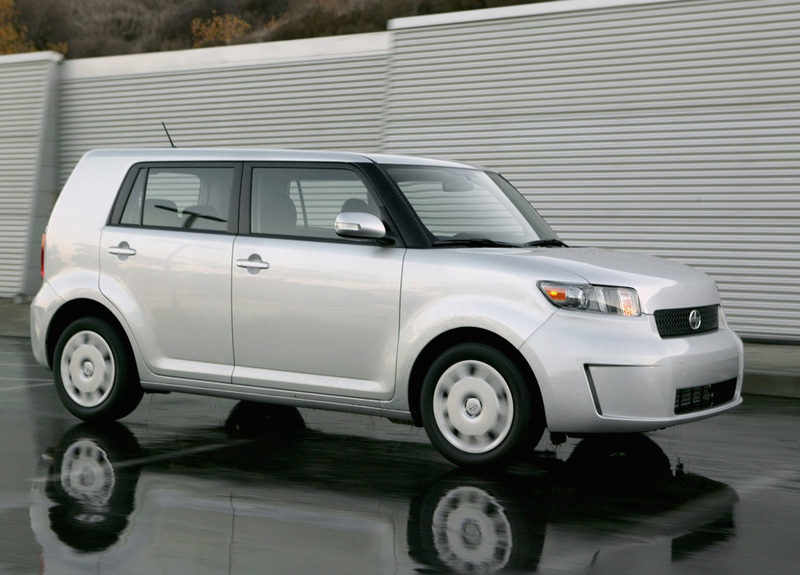 All Scion models come with complimentary factory-recommended maintenance services at the first 5,000 mile and 10,000 mile intervals, to be performed by an authorized Scion or Toyota dealership. The exterior color palette for the new xB includes Super White, Classic Silver Metallic, Black Sand Pearl, Nautical Blue Metallic, Blackberry Crush Metallic and Hypnotic Teal Mica. All xBs will feature high-quality dark charcoal interior fabric.